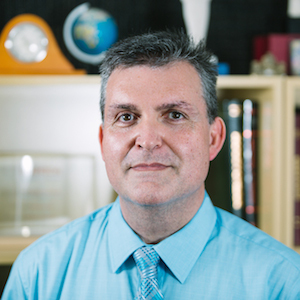 George Zouridakis, who has served as a professor in the University of Houston College of Technology Department of Engineering Technology for 10 years, now begins his role as the associate dean of research and graduate studies. Zouridakis replaces Dr. Rupa Iyer, associate professor of biotechnology, who was named program director for the National Science Foundation (NSF) Education and Human Resources (EHR) Directorate and is based in Washington, D.C. for one year. Dr. Zouridakis also serves as director of the biomedical imaging laboratory, and the coordinator for the engineering technology computational health informatics graduate program track. Known for numerous interdisciplinary research projects, his professional contributions include two U.S. patents, three books, 14 book chapters, and more than 270 refereed papers, proceedings, and abstracts. His efforts have been recognized by more than fourteen awards and elevation to senior member of the Institute of Electrical and Electronics Engineers (IEEE). "George does exciting research work and is passionate about our goals for the growth of the graduate program and development of the research program in the college. He is particularly well-suited for this position, and I am very optimistic about what we will accomplish under his leadership," said Dr. Tony Ambler, dean of the College of Technology.